Well...Thanksgiving is behind us now, so it's full steam ahead for Christmas card postings. 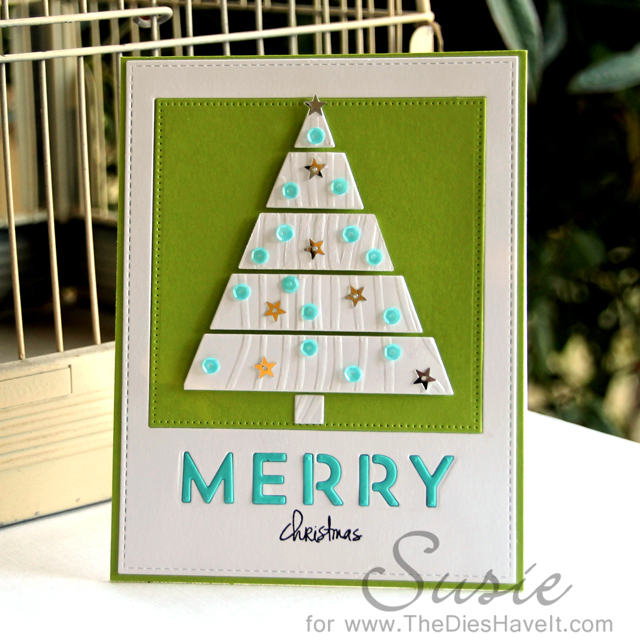 Unless something else HAS to be posted on my blog, I will be sharing Christmas cards and projects right through Christmas day. This little card was quick and easy. Everything except the sequins and the "Christmas" stamp is from MFT Stamps. The stamp is from Ellen Hutson. The sequins are from Pretty Pink Posh. OK - off to make some more cards to share.